A wide range companies including medical device, manufacturing, aerospace, petroleum, and service industries. 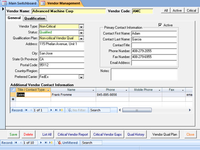 Multiple user licenses are available. Licensing based on concurrent users. 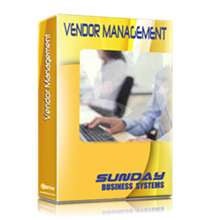 SBS Vendor Management is a simple, affordable tool used to manage suppliers or vendors. 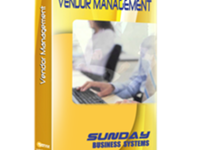 Develop qualification plans, record qualification results, and maintain your AVL or Approved Vendor List. Establish criteria for selection, evaluation and re-evaluation of suppliers. 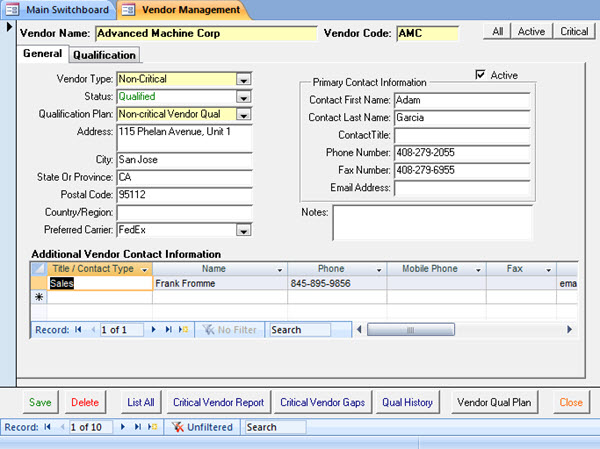 A rich set of reports is available to highlight qualification gaps and delinquencies. The program is ideal for small businesses striving for ISO 9001 and AS9100 compliance.